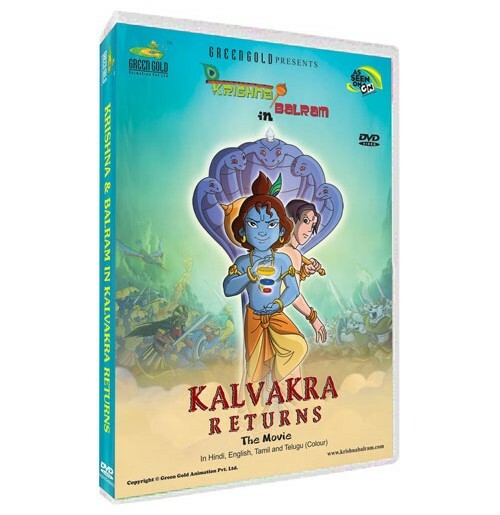 Kalvakra is rescued by the sorceress and they team up to unleash the indestructible Nivatkavach army which is locked up inside the deep confines of the earth. By controlling that army they plan to defeat Krishna Balram and then conquer the entire earth. To this end, they first need to put together three relics which are heavily guarded. Krishna Balram, bent upon stopping them, brave many perils, defeat the monsters guarding the relics, and thus manage to recover the relics before Kalvakra and the sorceress can. But they are subsequently tricked and trapped by the sorceress who then successfully unlocks the army with the help of those relics. Krishna Balram and allies fight the army and hold it back from marching forward to destroy. Krishna and Balram take on the sorceress and Kalvakra, defeating them and eventually sending the Nivatkavach army back to the deep confines of the earth.